Tuesday night saw Justin Trudeau the Canadian Prime Minister lay down everything we’ve ever wanted to hear about gender equality. At the HeForShe anniversary event in New York, our favorite feminist Trudeau made a surprise appearance alongside Emma Watson to tell us what we’ve all been waiting to hear. Trudeau, who is forever stealing our hearts, slayed back in March when he famously said: “I’ll keep saying I’m a feminist until there’s no reaction.” He’s also used Snapchat to advise men to stop being so damn sexist. And now he’s back with even more wise words. 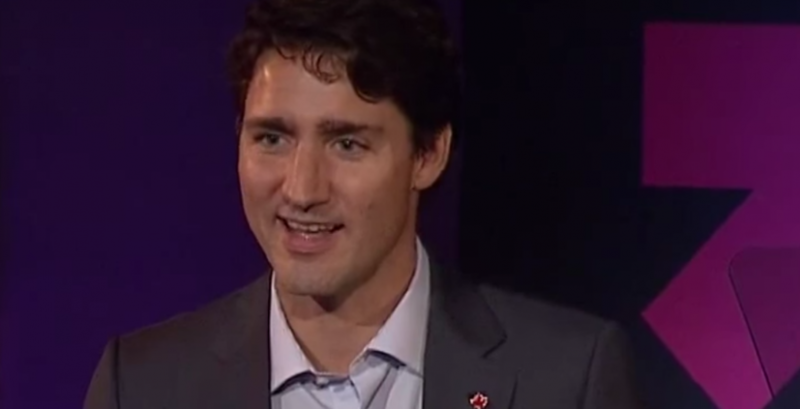 At the HeForShe conference, the Canadian PM said women’s issues are everyone’s issues and that men are fundamental in our fight for gender equality. “When women and girls get ahead, everyone does better in society. Ending his girl power speech, Trudeau challenged literally every living person to point out what more can be done in the fight for gender equality.